Dimensions: 31 3/4"W x 26 1/4"D x 94"
Universal base lets you expand system in either direction. Choose from six pre-configured units or specify your own storage variations. Universal base lets you expand system in either direction. Units are lockable and secure (standard). Options include reference shelf, cantilevered slotted shelf, roll-out drawers, roll-out shelves, roll-out hanging file frames and pass-through shelves. ARC-in-the-Box units shipped assembled _ leveling and shelf/divider installation required. 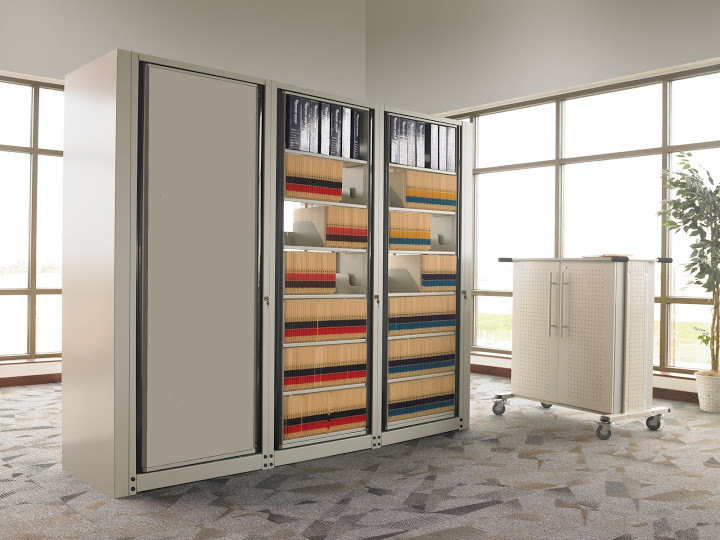 We can design an ARC file system to meet all your LFI (Linear Filing Inch) requirements.